What is this 4-1-1 on the Shore Tax? Home » What is this 4-1-1 on the Shore Tax? What is going on with that pesky shore tax? If you have been reading our articles you may have had hope that it would be gone by now for owners who handle their own rentals. The Coalition to defeat the Shore Tax for owners who rent on their own AND collect monies without the assistance of on line book- ing sites, has made progress but still have a lot of work to do. The NJ Shore Rentals Coalition was founded by several owners on LBI, in- cluding two duplex owners, Tim Krug and Duane Watlington who understand the need to keep costs down in our short rental season. Since duplexes are typically bought to generate income, we are not surprised that Tim and Duane were involved in taking on this project. Many should benefit from their efforts. Although the tenant would pay this rental tax, it will have an affect on what they are willing to pay to spend a week at the Jersey Shore, which ulti- mately affects the rates that owners can charge. The Coalition’s efforts thus far are im- pressive, receiving more legislative sup- port than expected. However, changing a law is a long and winding road and we have confidence that this coalition will persevere to get the job done. As mentioned in earlier articles, this is a non-profit and could use the support of other owners who would benefit from the tax law being changed. 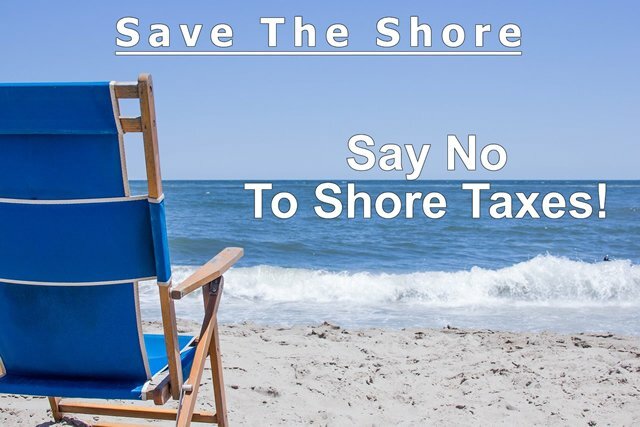 Please visit their site at www.NJShoreTax.com to learn more. Any support is appreciated, monetary to their GoFundMe page and/ or emails to legislators. No amount is too small if donating money. Monetary donations are used to employ an attor- ney and lobbyist. What you need to know now, is that the Shore Tax is in play and you should plan accordingly. Again, this tax does not apply if renting with realtors. We have done our research and have a few options for owners to help with this situation. There are several agencies offering a reduced commission rate. Call us! 609.618.8390 or email at team@lbiduplex.com. Only How Many Days till Memorial Day? ?